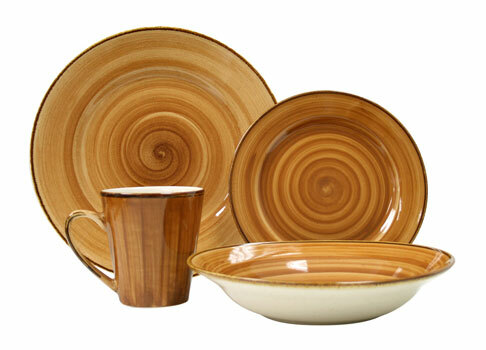 The vivid, hand-painted swirl designs showcased on this dinnerware will enliven a table. Kenya's rich earth tones are reminiscent of the savannahs of Africa. A deep brown edging sets off the colorful designs. Also available in green, blue, red and yellow.